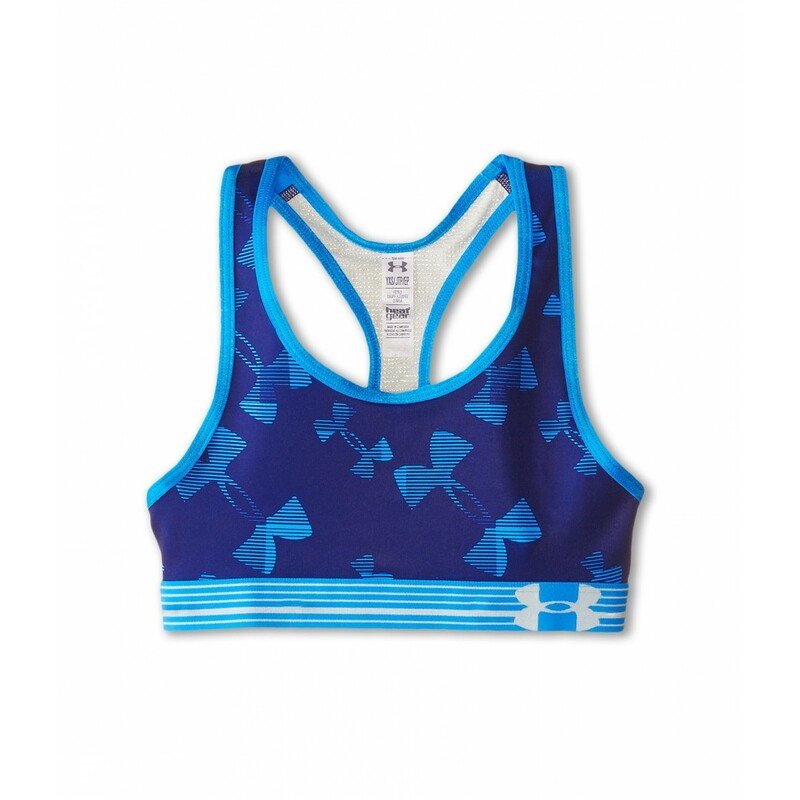 She can train hard and have optimum support in the Under Armour Kids Heatgear Alpha Printed Sports Bra. Lightweight, four-way stretch fabric provides for a wider range of movement. HeatGear technology delivers breathability to keep you cool and keep you going. Racerback straps with mesh back panel. Product measurements were taken using size XS (7 Big Kids). Please note that measurements may vary by size.